Plunge daringly into the world of wildfires -- check out the trailer for the upcoming documentary series FIRE CHASERS, launching globally on Netflix September 8. 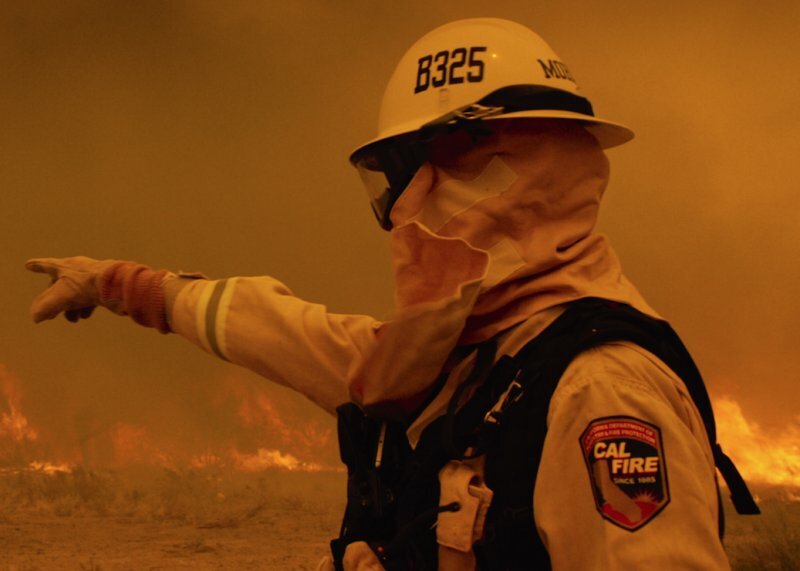 From the vast visual ferocity, to the earnest and emotional personal stories hidden behind the smoke, Fire Chasers takes viewers into the heart of California's devastating recent wildfires alongside the brave men and women of Cal Fire and the Los Angeles County Fire Department. Their mission is to battle the flames that erupt during fire season, threatening wildlife, natural terrain, and tens of thousands of homeowners. Climate change, altered vegetation patterns, and an increase in fire-prone landscapes have multiplied those crises -- forcing firefighters across the state to confront epic disasters that cost lives, millions of dollars in damage, and a massive scarring of the Earth. Alongside the stories of the Cal Fire and LA County Fire teams are those of new recruits training to join their brothers in the blaze; the women who've chosen to train at "Fire Camp" while serving time at the California Department of Corrections and Rehabilitation in Corona; and California artists Jeff Frost and Andrea Dale, who document the apocalyptic-looking damage in photos and ARTIFACT retrieval. Fire Chasers is a gripping, dramatic look at the vigilance and valor that come with trying to stop nature's most unstoppable force. Fire Chasers is a Netflix original documentary series produced by Appian Way, Stone Village Television, and Original Productions. Screeners are available upon request. With U.S.-Cuba relations resuming after half a century, a drama series set on the island nation is in the works. Stone Village TV said today that it will produce Cuba, about an international real estate mogul who returns with his family to the place of his childhood to restore a hotel in hope of capitalizing on Cuba’s emerging tourism business. Rob Cohen will direct the pilot and executive produce….